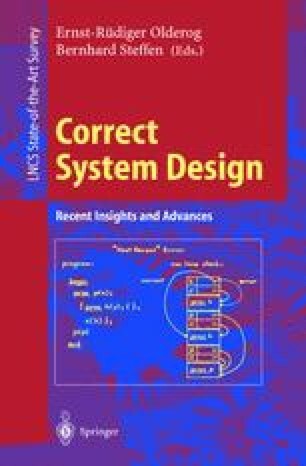 Over the last decade, finite-state verification methods have been developed to an impressive tool for analysis of complex programs, such as protocols and hardware circuits. Partial-order reduction and BDD-based symbolic model checking have been instrumental in this development. Currently, much effort is devoted to advancing further the power of automated verification to cover also infinite-state systems. In this paper, we consider the class of so-called parameterized systems, i.e., systems with many similar processes, in which the number of processes is unbounded and their interconnection pattern may vary within the range of some constraints. We partially review the use of induction over the system structure for the verification of parameterized systems. Wolper and Lovinfosse have introduced the term network invariant for the induction hypothesis in such a proof by induction. They also observe that well-behaved (e.g., finite-state) network invariants do not always exist, even if the system itself satisfies the property to be veri fied. The main contribution of the paper is to present some suficient conditions, under which the existence of a finite-state network invariant is guaranteed. We also relate the construction of network invariants to the search for standard inductive invariants. Two small examples of network invariants and standard invariants for parameterized systems are included. Supported in part by the Swedish Board for Industrial and Technical Development (NUTEK) and by the Swedish Research Council for Engineering Sciences (TFR).